The Falcons are 5th Grade OTM Champs! 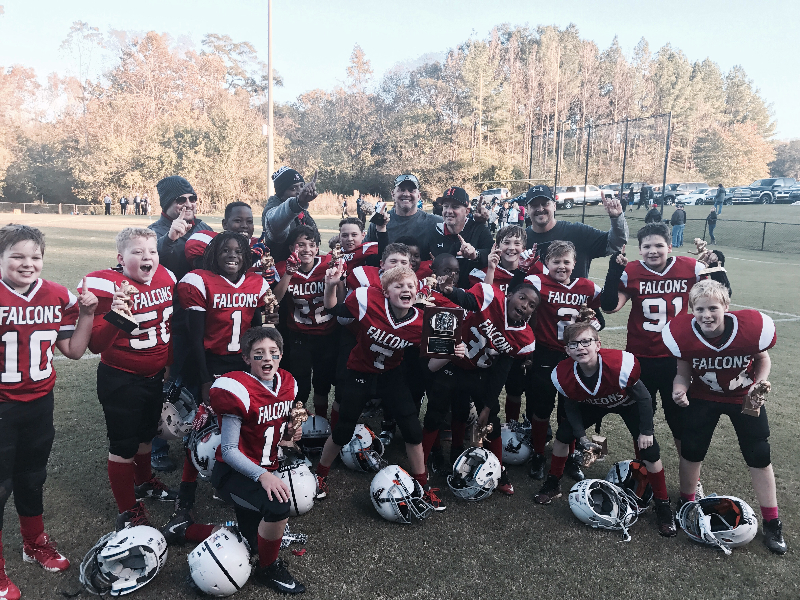 Congratulations to the 2017 5th Grade OTM Football Champions, the Hoover Falcons, coached by Jason Milligan! The 5th Grade Hoover Falcons finished the regular season in a 3 way tie for 1st place. In the playoffs the Falcons won their semi-final game over the Hoover Packers 33-7. They clinched the title over Vestavia Seahawks 13-0 in commanding fashion. Congrats Falcons! Players: L-R AJ K., Paul B., Shiye R., John Paul A., Jack P., Nicholas M., Kelston H., Noah B., Moss F., Ryan L., Davion C., Caiden D., Will H., Emerson M., Joe Lucas M., Henry R., William M.